Microsoft Store is giving a limited time $500 discount on Alienware 15 Touch Signature Edition Gaming Laptop and an additional 10% discount for Students and Faculty.The retail price for this laptop is $2500 but you're currently getting a $500 discount on this laptop in Microsoft Store.You can order it online through official Microsoft Store website and get it shipped for Free within 3-7 business days if you don't find this laptop or the $500 discount on this laptop available at your nearest Mircrosoft Retail Store.Note that this offer is only available for purchasing this laptop at Microsoft Store.The official Dell Outlets are not offering the $500 discount on this laptop.Also,people residing outside USA,please check with the official Microsoft Stores in your country for this offer. 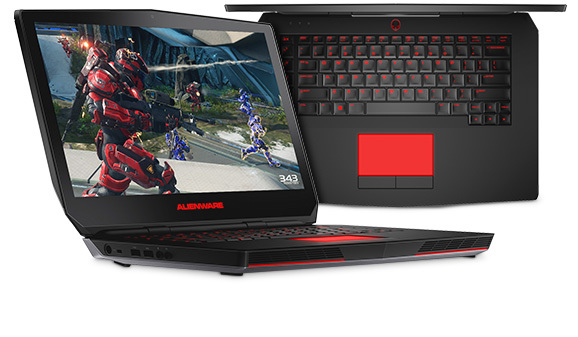 If you're currently planning to buy a laptop for running The Sims 4 and The Sims 3 series games Alienware 15 Touch Signature Edition Gaming Laptop can be a good choice for you.We already know that The Sims 3 with all of its packs and store contents tend to lag much,gives save errors or crashes from time to time due to its open world nature with a lots of simulation process going on at the same time.So you do need a heavy machine to run it smoothly.On the contrary,The Sims 4 gives quite smooth and fast gameplay but this series is also growing day by day with more and more packs being released for the game.Moreover,if you're using lots of cc in your Sims 4 game,you may face a bit lag depending on your machines.However,you won't face any lag for Sims 4 with all of its packs and lots of cc if your laptop or desktop has a powerful processor and a good amount of memory.A powerful dedicated graphics card not only gives you highly detailed graphics but also gives you a smoother gameplay. 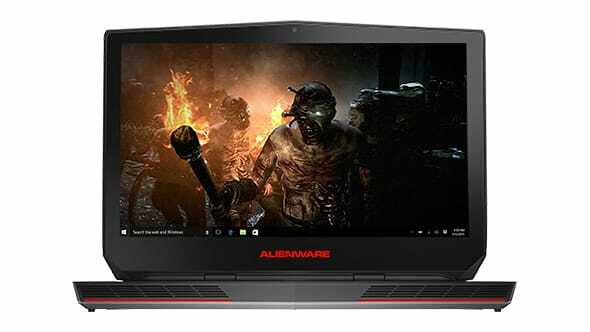 The Alienware 15 Touch Gaming Laptop is equipped with mind-melting NVIDIA GeForce GTX 970M graphics and an all-powerful 6th Gen Intel Core i7 processor. It's heavy on memory with 16GB for lightning-quick performance, and has 10 customizable lighting zones on the keyboard for countless color combinations. The laptop has the latest powerful and faster than ever 6th Generation Intel Core i7 6700HQ 2.60 GHz processor with Turbo Boost Technology up to 3.50 GHz processor and 16GB DDR4 2133 MHz memory.According to EA's official recommended system requirement for The Sims 4, Intel core i5 processor and 4 GB memory needed.The processor and memory of the Alienware 15 Touch Gaming Laptop certainly exceeds the Sims 4 recommeneded system requirements far away.So it'll give you a blazing fast gameplay for both The Sims 3 and The Sims 4 with higher data transfer rates.The laptop hard drive consists of 256GB SSD and 1TB 7200 RPM HDD.I recommend installing your Sims 4 and Sims 3 games on Solid State Drive (SSD) of the laptop as it will make your games faster. Hey,I have 10000 cc (custom contents) installed,will it be still able to handle it? My answer is yes,it can handle it for The Sims 4 and give you a smooth and fast gameplay because it has the amount of memory and powerful processor to handle them.Moreover,your all of 10000 cc are not going to be placed in your one house or lot. 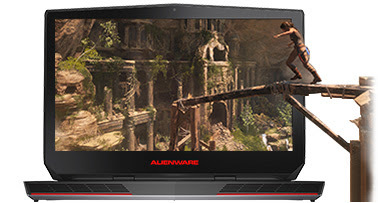 The Alienware 15 Touch Gaming Laptop has eye-popping 4K UHD with a resolution of 3840 x 2160 and the razor-sharp 15.6-inch touchscreen shows every last detail with lifelike accuracy.It's powered by blistering NVIDIA GeForce GTX 970M graphics with 3GB graphics memory and with DirectX* 12 support which delivers blazing-fast performance, advanced graphics technologies and improved battery life.So you can play your Sims 4 and Sims 3 game smoothly and without any lag on ultra graphics settings.For audio Alienware 15 has rich and impressive audio powered by Klipsch and Creative SoundBlaster X-Fi technology. Look directly into the eyes of your friends and opponents with a 2.1 MP Full HD webcam and let the banter flow with a dual microphone array. 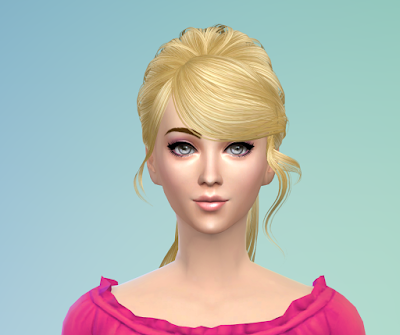 It comes with the best windows operating system Windows 10 which delivers faster start-ups, a familiar yet expanded Start menu, and great new ways to get stuff done across multiple devices.I'm currently playing both Sims 4 and Sims 3 on Windows 10 without any issue. 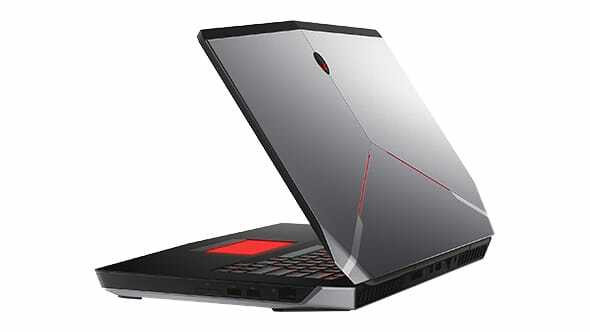 Under an inch thin, the Alienware 15 Touch is 20% slimmer than previous models and is built with durable copper, aluminum, and carbon-fiber components. 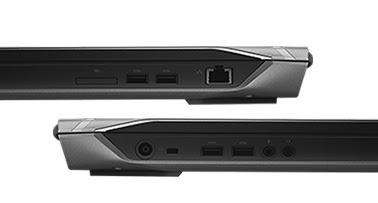 The Alienware 15 Touch includes USB Type-C with Thunderbolt support, which enables lightning-fast data transfers over Thunderbolt. The combination of the Killer™ Wireless-AC 1535 with the Killer™ E2400 provides unprecedented speed, intelligence and control to your gaming experience. Download faster, stream better, and enjoy smoother gaming with Killer DoubleShot™ Pro and Advanced Stream Detect™ technology. Killer DoubleShot Pro provides the ultimate networking experience by smartly having Killer Ethernet and Killer Wireless work together to determine which network traffic should run on each interface. This provides the absolute fastest possible gaming and streaming experience. 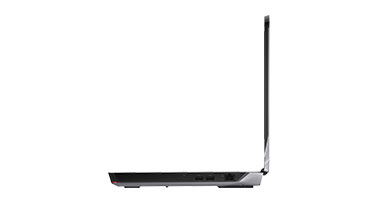 Plus, all Alienware 15 systems come with Bluetooth 4.1 technology. Battery life is always of debatable concern for larger gaming laptops, but it’s always good to know you can survive for a few hours away from a socket when the need arises.Thankfully the Alienware 15 Touch is equipped with 8-cell 92 WHr lithium-ion battery which will last for around 5 hours for normal browsing and video streaming. One problem is that the laptop don't have any in-built optical drive so you've to invest another $41 on a Dell external optical drive for your laptop. 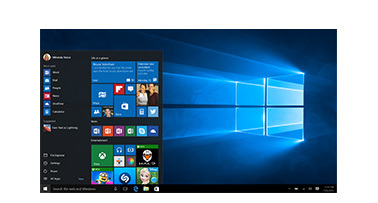 To order the laptop or talk to an expert,visit Microsoft Store page for this laptop. Microsoft store is also giving discounts on other laptops,so you may want to check them as well.